6sense announced that it has been included in CNBC’s list of top 100 startups in the world. Known as the Upstart 100, this exclusive list of promising young start-ups features a diverse group of companies that are building brands and breaking industry barriers on the path to becoming tomorrow’s household names. Companies making this year’s Upstart 100 represent a broad segment of the economy, across nine different countries and 13 US states. Each of the organizations selected is less than five years old. 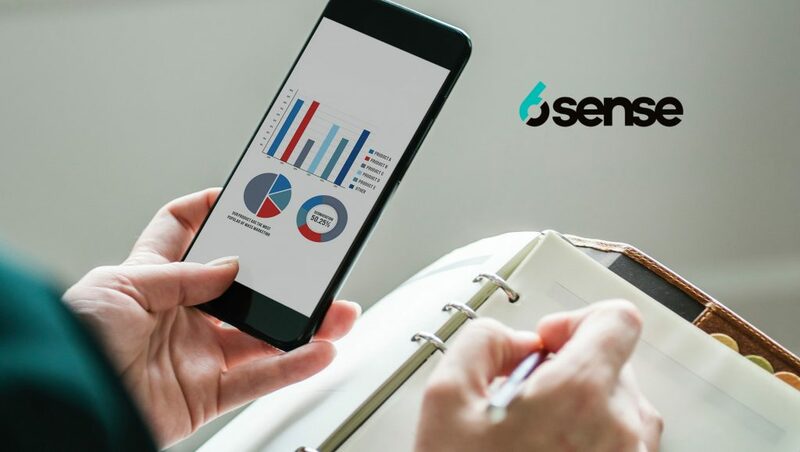 6sense has carved out a unique position in an extremely crowded B2B marketing technology landscape with the pioneering development of its ABM Orchestration Platform for sales and marketing teams. Built on state-of-the-art AI and Big Data, this comprehensive sales and marketing platform analyzes billions of intent signals across every channel to help marketers predict with a high degree of certainty which accounts are “in-market” and utilize those insights to orchestrate AI-driven, multi-channel tactics. “We’re extremely thrilled to be featured on the Upstart 100 and recognized by CNBC for being a company worth watching. As the only company in the Martech category on the list, it is a testament to every member of 6sense contributing to our vision of equipping modern B2B sales and marketing teams with a single platform for ABM success,” said Jason Zintak, CEO of 6sense. 6sense was noted for its ability to not only meet current customer demand, but on its capacity to rapidly build a workforce capable of scaling while keeping pace with the company’s aggressive growth. 6sense received accolades for its strength in attracting top talent in a highly competitive environment and maintaining outstanding levels of customer satisfaction while rapidly driving net new business. A key measure for inclusion into the Upstart 100 concentrated on the organization’s IP and ability to innovate. 6sense’s patented technology focuses on time-based intent modeling, allowing customers to answer a critical question traditional segmentation analytics cannot: “Which companies are in-market to buy my products and when?” The ability to predict for timing differentiates 6sense from competitors in the ABM space.